Work every muscle in the body. 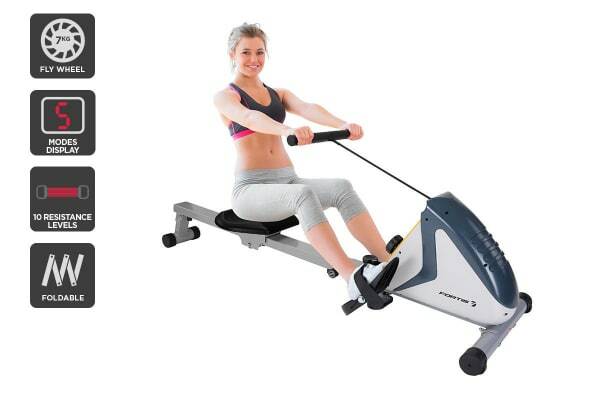 Reach your weight loss goals and tone up your muscles in a challenging yet comfortable way with this feature-packed rowing machine! A full-body workout right at home! Regular exercise is the key to staying fit, but finding time to do so in today’s busy lifestyles can be the biggest challenge sometimes. That’s where equipment like the Fortis Flywheel Rowing Machine come to your aid. This fabulous exercise machine gives you a full body work out within minutes and even saves you the time you would otherwise spend on commuting to the gym and back. It offers an excellent way to meet every fitness KPI like strength, power, cardiovascular endurance and more! With this machine at home, you can reach your weight loss goals quickly and also get compliments for good muscle tone! 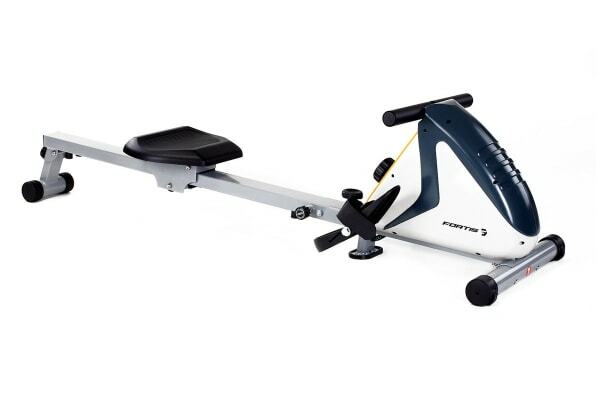 Unlike poorer quality rowers which use elastic or friction-flywheel based technology, this affordable machine relies only on the best magnetic flywheel technology. 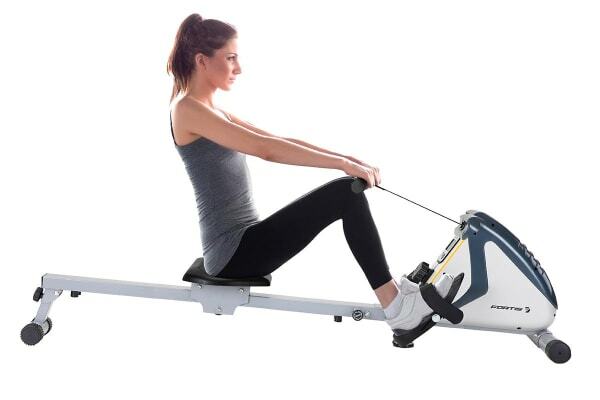 What this delivers to you is a much smoother rowing experience that avoids injuries and keeps you comfortable and motivated. We were happy with the price, the quality and the delivery time, and are looking forward to getting some good results as we use it! It seems to work very well and is sturdy and strong.